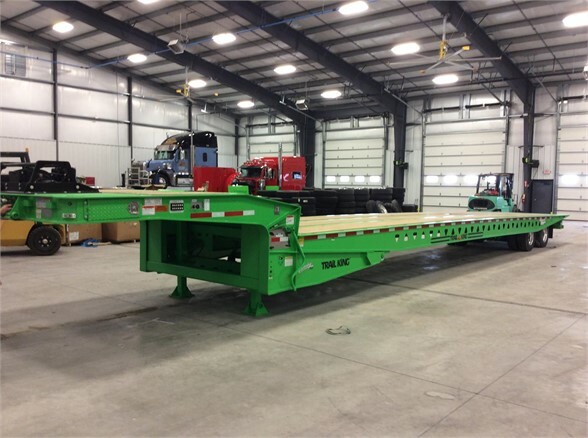 Fitzgerald trailer sales has 1 of these Trail King TK 80 sliding axle trailers in stock and 2 more on order. 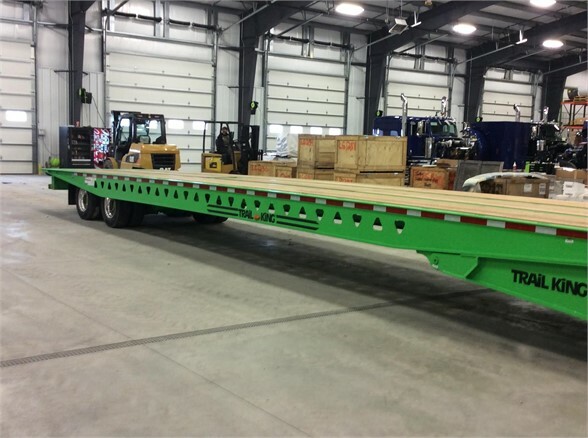 These trailers have a 37 1/2in loaded deck height with a 6 1/2 degree load angle for easy loading. They have 4 main beam frame construction and 3" I-beam crossmemebers to put the weight capacity to 80K and 50K in ten feet. These trailers have a single recessed winch roller at the front of the deck with a 80' cable with locking safety. If you do not see exactly what you want give Fitzgerald Trailer Sales a call today at 888-516-1451.